If you use scanner to digitize documents and books, you probably faced the problem of black borders that are left if you scan files to bigger paper format than the original document has. Also it occurs when you put the document sheets not correctly aligned to the scanner sides. As a result, it is not comfortable to read such scanned copies or present it to the public. 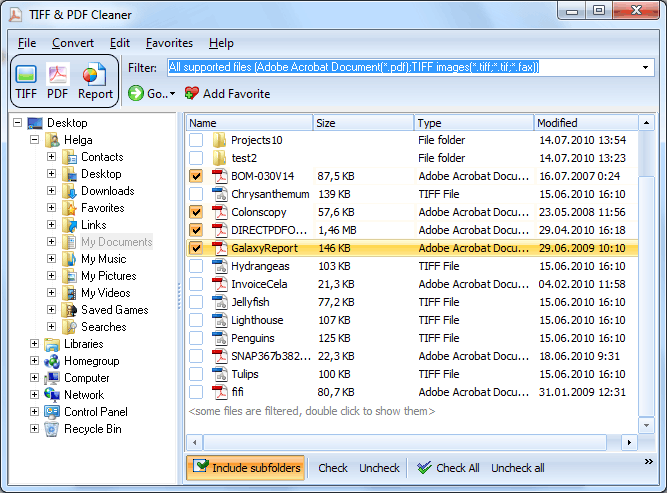 If your scanned files are in PDF or TIFF format, TIFF PDF Cleaner can help you with this problem. 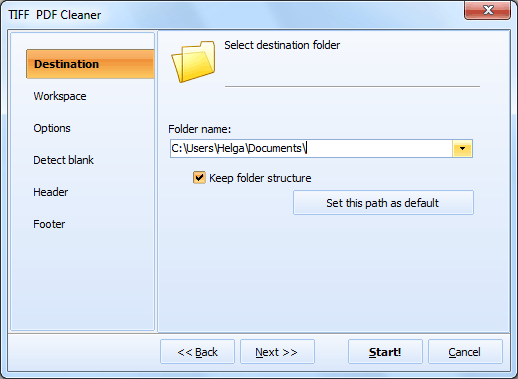 Tiff Pdf Cleaner will automatically delete black borders from any number of files at a heat. Press Start! button to enable document processing. These four steps will provide you with PDF or TIFF files clear from unwanted black borders. 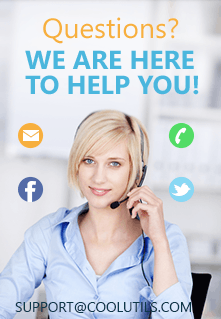 Your files will become easily readable and printable. The program offers adjustable tolerance for detecting black borders. The required tolerance depends on your documents' background color and the tone of borders. After a couple of experiments you will definitely know, which tolerance value suit your files in the best way. You can use automatic blank borders detector that doesn't require any settings. The program will detect and remove the borders using standard tolerance. You can set specific area of paper sheet for analyzing (set analyzed border size in pixels). In such a way your documents will be secured from cropping important data from the document. You can always test the functionality of TiffPDFCleaner before purchasing a license. For 30 days it is available for free use, you can try all its options on your documents before getting a paid version. Do it now!